The young talent – he was born in 1986 – first raised public awareness in the prog rock scene in 2013, with a deliciously conceptual album titled “Jeremias – Foreshadow of Forgotten Realms” by his 8-piece band Circle of Illusion. The album was the perfect medium to show Gerald’s extraordinary ability behind the keyboards, but also his noticeable skills as composer and producer. Many noticed Peter’s extreme versatility and knack, to the point that “Jeremias – Foreshadow of Forgotten Realms” was listen on Jordan Rudess’ (keyboardist of Dream Theater) featured artist site and ranked on the 2013 top albums lists of several specialized music magazines, such progarchives.com, musicinbelgium.net, myglobalmind.com. Two years later, in 2015, Gerald released his debut album “Chameleon Lab Explosion” along with his 4- piece band Inspirational Corner: an explosive synergy between fusion, jazz and funk that didn’t fail to impress several German music magazines. Peter’s achievements are many: from being on tour with the worldwide-renowned Cirque du Soleil – VOLTA to becoming a ROLI product specialist and active seaboard performer, from creating a variety of performance videoclips on YouTube to performing with the seaboard at the NAMM show in California, Musikmesse in Frankfurt, and at many other workshops and exhibitions all over Europe. 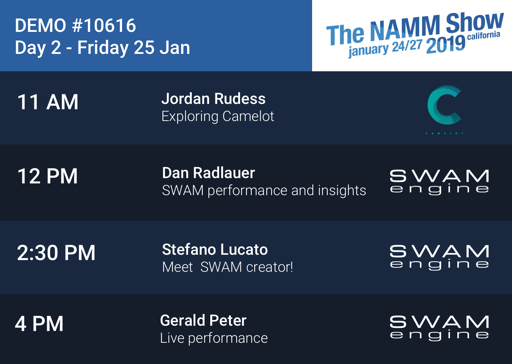 More recently, in 2018, Gerald took part in the NAMM show with a live demonstration of the iOS instrument GeoShred on the iPhone in cooperation with moForte and Dream Theater’s Jordan Rudess. But what about his latest work? Peter is out with an EP titled “Incremental Changes – Part One with The Gerald Peter Project”, the first part of a trilogy aimed to explore the combination of his skills in terms of performance, audio and video production, composition. A multi-layered work of art that fully displays the wide-ranging talent of this music professional. Of course, SWAM couldn’t be anything but one of the most appropriate means to express such a multi-layered and complex approach to music. Take a look at the recent interview Gerald gave to Stefano Lucato, CEO at Audio Modeling! Apart from their uncanny ability to perfectly replicate the sound and dynamics of traditional musical instruments, SWAM instruments are also playable “out of the box”. 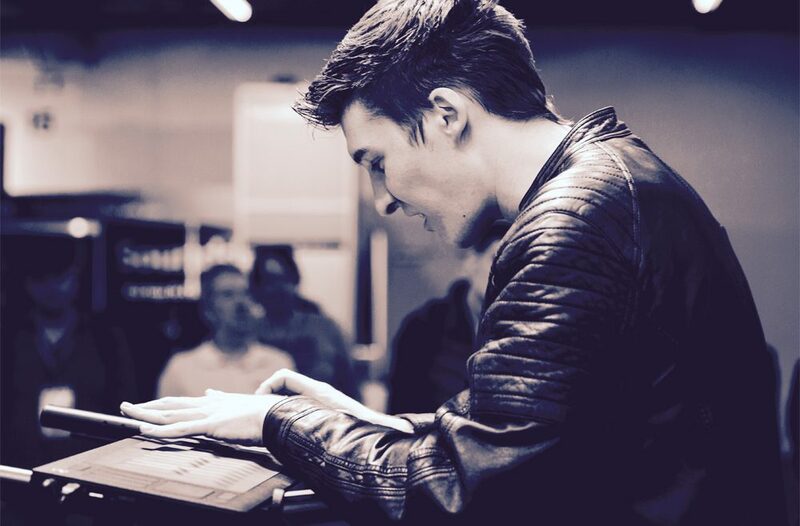 Launched with a default keyboard setting, they allow the musician to play these virtual instruments by only using a keyboard and, as they do that, they manage to show good articulation and legato with a reasonable degree of smoothness. Reducing SWAM instruments to this, though, would be fallacious, since what we just listed is just the beginning. With the use of other types of controllers, such as expression pedals, new expressive instruments like ROLI Seaboard or LinnStrument, or wind or breath controllers, the level of expressiveness of these virtual instruments expands to an even higher level. The SWAM engine provides settings for these different types of controllers, therefore making the initial setup of the basic functions much easier for the performer. There are also additional settings for each instrument on the main page of the GUI: they can modify timbre, tone color, sound behavior and transposition of the instrument, just to name a few of their options. Many of these control parameters can be mapped to the controller: for example, the harmonic structure parameter can be mapped to CC2 Breath so that breath input will alter the harmonic structure of the instrument in much the same way the tonal quality of a real wind instrument changes in character as breath pressure increases. There are several other similar adjustments and mappings available and, with experimentation, any performer can very easily create instrument variations that are utterly personal to their specific style and tonal aesthetics. Additional performance effects such as Growl and Flutter Tongue can too be mapped to any control (e.g. slider, knob, etc. ), along with overblow and fall-down that can be used with Key Switches. SWAM instruments also have micro-tuning capabilities that can be set up in the options page of the GUI. This gives SWAM instruments the ability to perform on different scales or tunings, as required in experimental compositions or ethnic musical genres. Thanks for their unique flexibility, expressiveness and quality, these virtual instruments can be used during live performances in a variety of musical styles, ranging from classical to jazz, from popular to ethnic. At the same time, SWAM instruments are just as valuable in terms of recording and music production. 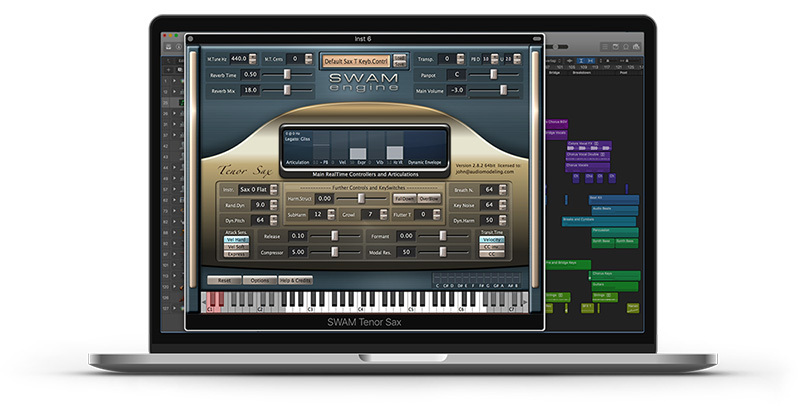 SWAM instruments are provided as plugins that will run on virtually any host, both on PC and Mac. They have been tested extensively on the most common DAWs, like Cubase, Logic, Digital Performer, ProTools GarageBand, etc, and work perfectly in live performance hosts such as Camelot – our revolutionary live performance software – and Cantabile, MainStage, Plogue Bidule, Gig Performer, and many more. 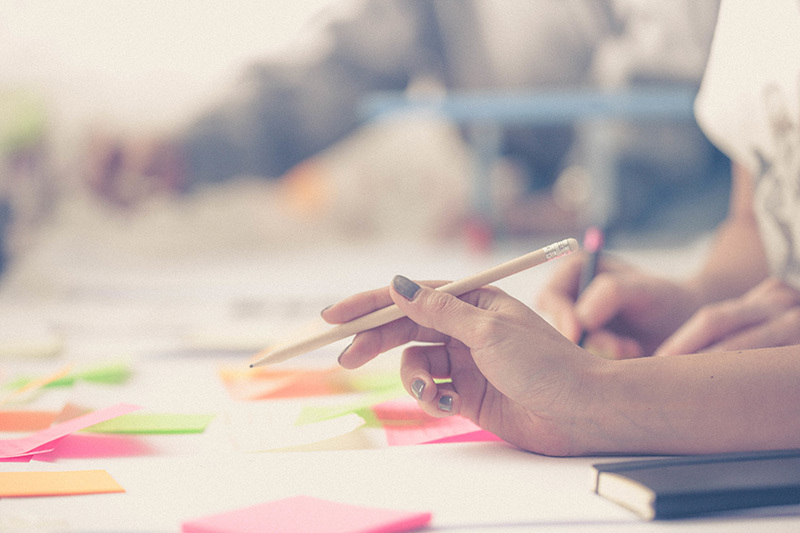 User Experience Design and User Research are widely applied to Web Development, field that has a very fast pace in finding new tools and development techniques. Applying and adapting those tools on making any digital product, and in particular musical instruments can improve drastically the quality of the product and the satisfaction for the final end user. Here at Audio Modeling we have started to perform User interviews to get insights from musicians at all levels. The work of a UX Designer (User experience designer) is to find the sweet spot between the user needs and technical feasibility. SWAM Instruments are expressive instruments, they have a unique sound engine capable of reproducing a very natural behaviour when played controlling continuously in real time the sound parameters. So we have interviewed many musicians asking to talk about their story and the importance of playing expressively. The following video is just a short part of the interview to Dom Sigalas, Film Composer and Music Producer. 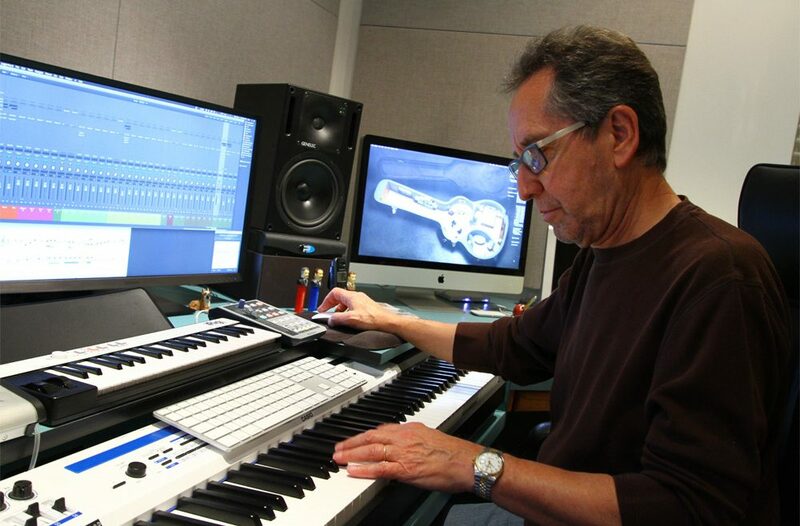 Detroit-native Bruce Miller is considered one of the most talented composers, arrangers and conductors of modern times. Starting his career on the local jazz and R&B scene as a guitarist and saxophonist, Miller was completely immersed in the professional music scene at a very early age. The thrill and buzz that accompanied the momentum also helped him develop his talent and inspiration: a lot was happening around town all the time, and from live shows in jazz clubs to commercials, from major acts to records, the Detroit music scene was extremely lively. During his stay into the Army, Bruce became part of a military jazz band based in Colorado Springs, “The NORAD Commanders” and spent the next three years writing, playing music and performing at various venues throughout the USA and Canada. Obviously, once his military obligation was fulfilled, he went back to music full-time becoming Paul Anka’s musical director and conductor. Another three years passed, turning into a pivotal moment in Miller’s life in terms of experience and musical abilities. Of course, many people noticed his talent and soon Bruce moved to the West Coast, in Los Angeles. Then, in 1997, through longtime collaborator Thomason, Miller was brought on as a Musical Director for the G8 Summit in Denver, Colorado. As arranger and conductor of the 45-member orchestra, during the event Bruce performed with music legends such as Chuck Berry, Lyle Lovett, Michael Bolton, Amy Grant, Eartha Kitt, Crystal Gayle, Jennifer Holiday, Sounds Of Blackness, and The Preservation Hall Jazz Band. Miller was nominated for an Emmy Award in 1989 for Best Arranger (Music Direction) for the Sammy Davis Jr. 60th Anniversary Celebration, and then a second time in 1994 for Best Theme for “Frasier.” Throughout his career, he won sixteen BMI TV and Film awards, fourteen SESAC awards, and the prestigious SESAC “Legacy” award (2012). Countless are his gold and platinum records for his tireless and innovative work with many A-listers in the music industry. Bruce, still very much active both as a composer and arranger, currently works with his son Jason and among the many titles in their carnet are TV shows, commercials, records, and “Shoulders,” the documentary defining the relationship between 2016 Democratic Presidential candidate Hillary Clinton, and her mother, Dorothy Rodham. Bruce Miller is among the artists using and praising Audio Modeling’s solutions, which he defines as instruments able to “save him from stress”. And we are so happy they do! Thank you for being with us, Bruce! At booth #10616, Hall A (see it on the map) you can find both the SWAM virtual instruments and Camelot, the new multi-platform software for live performance management. 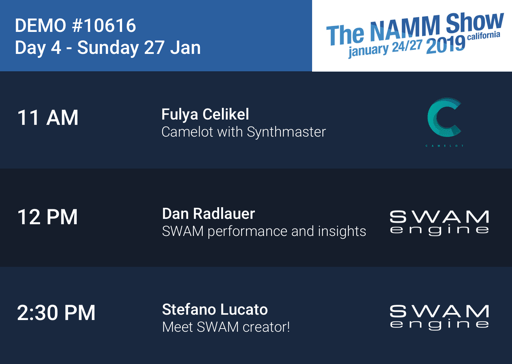 In addition, SWAM’s inventor Stefano Lucato will be available to talk about his musical instruments, give advice on how to use them and listen to feedback / suggestions from SWAM users.